Beijing, China. 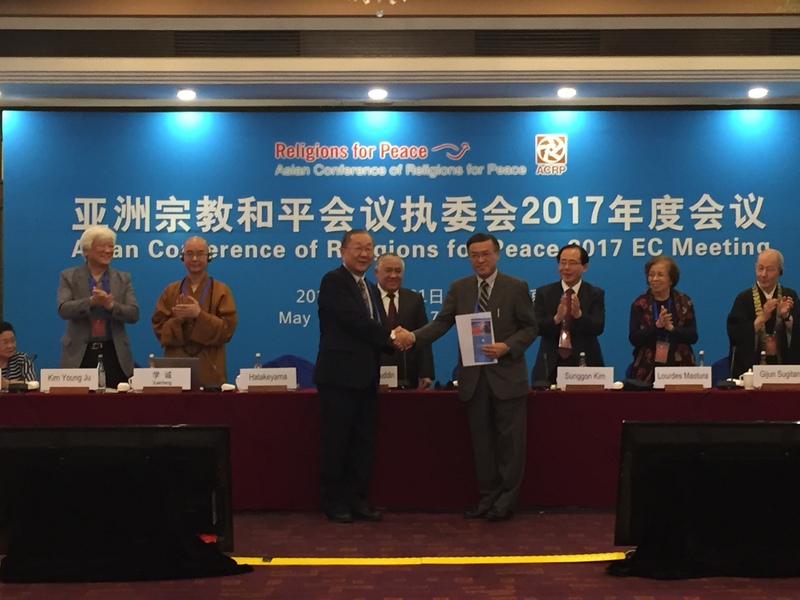 At the annual Executive Committee Meeting, Asian Conference of Religions for Peace (ACRP)/Religions for Peace Asia (RfP Asia) announces the election of Rev. Nobuhiro Masahiro Nemoto as the new Secretary General. He will serve the remaining term of office of Rev. Yoshitaka Hatakeyama until the next ACRP/RfP Asia General Assembly, who relinquished his post due to his appointment as the Head of Dharma Center in Mitaka, Tokyo. Rev. Nemoto is a reverend minister of Rishho Kosei-kai and a board member of WCRP /RfP Japan. He worked at the UNHCR Geneva HQs for 3 years and a member of the governing board of RKK. As the new Secretary General, Rev. Nemoto envisions ACRP/RfP Asia to revitalize its very reason for its existence. “We exist for the people, to do something for the vulnerable and people who are most in need,” he said. He takes inspiration in the Singapore ACRP Assembly action where ACRP bravely assisted the refugees, known as the boat people project, to encourage countries to open their doors. With the support of the Executive Committee, he intends to transform ACRP/RfP Asia into a movement. ACRP/RfP Asia, according to him, should be an organization that “moves people from vulnerability and invisibility to shared development and social harmony.” “We, as ACRP/RfP Asia, should become the way for people to live together in harmony through compassion, love and by sharing with the suffering of the people,” he continued. Finally, Rev. Nemoto aims to strengthen the cooperation between ACRP/RfP Asia and RfP International in engaging religious communities and other stake holders to promote peace and harmony in Asia.